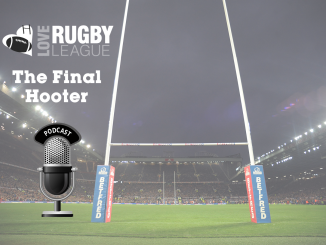 John Davidson takes a look at the weekend which included Hull KR edging past Wigan, the cannonball tackle making a return and Leigh registering their 25th win on the trot. 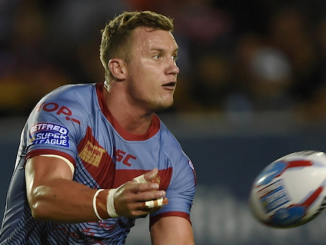 Hull KR upset the apple cart with a stirring 16-12 win on Friday, knocking Wigan out of the Challenge Cup. The Warriors had smashed the Robins 60-0 two weeks ago and some had predicted a repeat, but this was a much improved Hull KR side, taking advantage of a mistake-riddled and niggly Wigan team to get the four-point victory. It was one Shaun Wane won’t be too happy about, considering the images of the shattered coach in the dressing room post-match. Wane takes losing probably worse than anyone in British rugby league, such is the competitive fire that sits inside him. The phrase ‘You win some, you lose some’ is not one the 50-year is familiar with. Wane had a pop a both referee Richard Silverwood and his own side after the game. Rangi Chase’s cowardly cannonball tackle on Brett Ferres a few weeks back was widely condemned and ended in a seven-match suspension for the half. Cannonballs are a grubby part of modern rugby league and should have no place in the game. But Friday night’s Challenge Cup fixture showed that players are still out there carrying them out. Wigan’s Sam Powell attempted one against Hull KR and was penalized. It was just as bad as Chase’s effort and the judiciary should take a similar hardline stance on the Warriors utility. Whether it resulted in serious injury or not is immaterial. The cannonball is a low act and should be stamped out. 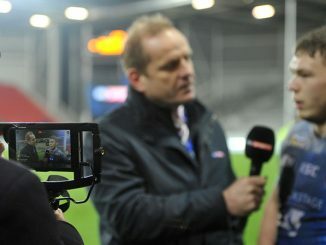 After his side lost by seven points to Catalans, St Helens boss Kieron Cunningham let loose on the performance of referee James Child and called on the RFL to invest in improving refereeing standards. The usually softly-spoken Cunningham was spot on. Super League has just five full-time referees, which is clearly not enough. Key mistakes from officials have become a regular occurrence in the competition this season. Yes, referees are human. Yes, they will make mistakes. But surely it’s time the officials are given a chance to develop and improve, given the appropriate backing, to make sure they are at their best. If Super League wants to be a elite, entertaining competition that competes properly with the NRL and rugby union, then making all of its refs full-time professionals is a must. The Rhinos’ impressive 32-point spanking of Huddersfield shows they remain the team to beat this season. Top of Super League after 14 rounds, Leeds had displayed some vulnerability of late after failing to claim a win in their past three games. Going into their Challenge Cup tie, the Giants would have been confident after their 24-24 draw with the Rhinos on April 30. But the current Cup holders were a class above on Saturday, running in eight tries at Headingley to blow their Yorkshire neighbours off the park. In Kallum Watkins and Joel Moon they have the best centre pairing in Super League. 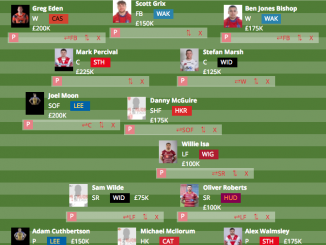 Leeds’ have great depth across their roster, particularly in the halves, and their forward pack is both big and experienced. Adam Cuthbertson has been a canny acquisition and the Rhinos can score from anywhere. At the moment they are clearly the best team in the competition and, injuries permitting, are well on their way for another trip to Wembley. Just how do you stop the Leigh Centurions? And when will they be beaten again? Leigh’s stirring come-from-behind victory against Wakefield, their 25th in all competitions since last year, was brilliant to watch. The Centurions showed great courage and flair to fight back and a steal the win late from a heart-broken Wildcats outfit. 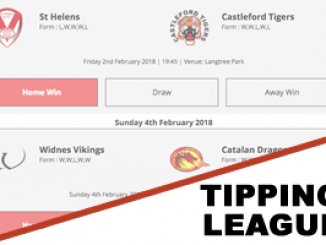 This was the second Super League side Leigh have dumped out of the Cup this season and they will fancy their chances when they go to the Halliwell Jones Stadium in the quarter-finals. Paul Rowley’s men get better each week and play with such confidence and attacking abandon. They have one eye on Super League in 2016 and at this point you wouldn’t be backing against them. The less said about Wakefield the better. Despite starting the game strongly this ended up being another loss for the Wildcats. Getting themselves off the floor mentally after this gutting defeat in time for Widnes next Sunday will be difficult.